And I have finally caught up! The internet: “creative, stimulating, inviting, liberating” or “crowded, noisy, vertiginous, paralysing”? 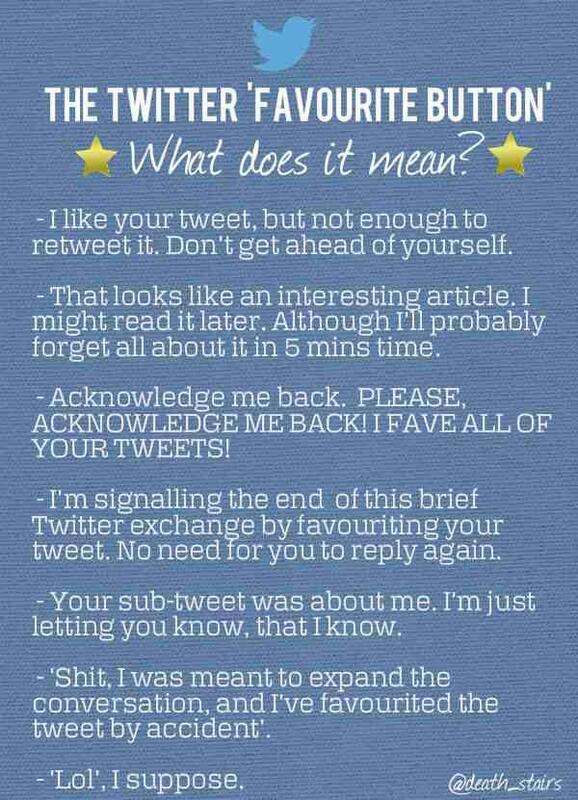 I think the favourite button is different for everyone – I use it as a scrollable list of things I know I’ll be able to keep, for me it is really more meaningful/useful than RT.